Smashing Pumpkins Zeitgeist Tours 2007, 2008. Bass, backgrounds. Glee Live 2011. Bass guitar. Freaky Friday Soundtrack: Halo Friendlies, bass and vocals. Smashing Pumpkins 20th Anniversary Tour. 2008. Bass and background vocals. Halo Friendlies. Bass, vocals. 2002, 2003, 2004. Lea Michelle, Louder. Bass guitar. 2013, 1014. Live promotion and television. Halo Friendlies 2000-2002. Bass, vocals. Ginger Sling EP. Songwriter, bass, vocals, guitar. Glee Live, 2011 Tour. Bass guitar. Halo Friendlies 1998, 1999. Bass, vocals. Laguna Beach Demos. Songwriter, bass, vocals, guitar. Glee Concert Movie Soundtrack. Bass. 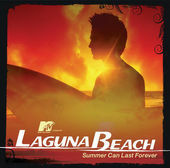 Laguna Beach Soundtrack. Ginger Sling, songwriter, bass, vocals. Get Real. Halo Friendlies, songwriter, bass, vocals. Acid Wash. Halo Friendlies, bass, background vocals.